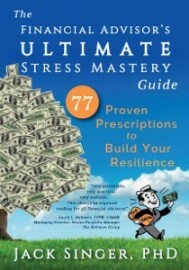 Dynamic Health: Powerful Strategies for Healthy Living! 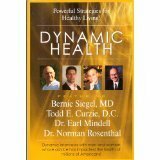 Dynamic Health provides interviews with ten of America's most famous alternative health practitioners, including Dr. Jack Singer, Dr. Bernie Siegel and Dr. Earl Mindell. These men and women have impacted the health of millions of Americans! Dynamic Health offers a rare opportunity to learn from professionals who represent a diverse cross-section of health specialties. Each contributor brings a lifetime of experience to its pages. Between the covers of this book are time-tested remedies, inspirational philosophies, and down-to-earth advice for anyone wanting to learn more about healthy living. Don't miss an opportunity to improve your health by reading every page of Dynamic Health! And order a copy for those you care about most.